My friend Charlotte (here is her blog: Small and Trivial), sometimes does book reviews in Twitter fashion. That is, she writes a review in 140 characters (or so). I like that idea and decided to steal it and use it for my Halloween reads! An old favorite ghost story about a young girl, her family, and the ghost haunting their rented house in Wales. 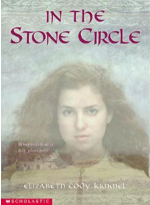 Cristyn and her new friends try to unravel the story of the restless spirit. An old favorite, but targeted at a much younger audience. Four stars. A surprisingly Halloween-y story filled with monsters, zombies, ghosts, werewolves, poltergeists, and spirit possessions. Audio read. The last installment of Heroes of Olympus. Loved it. Again, younger target audience, but I love these books. Five stars. Creepy and unnerving by turns. The story of two sisters in a long line of witch-y women dealing with life, love, death, family, and restless spirits. Occasionally disturbing and scary for me, but overall a good read. I put this book down for two years, but did return to it. Three stars. Our favorite bounty hunter, Stephanie Plum, teams up with mysterious Diesel to track down vaguely supernatural criminals. Very entertaining and fun. I laughed out loud a few times. First Between the Numbers book I have read. Four stars. Historical fiction surrounding WWI. Mary Shelley's sweetheart dies, but his ghost returns to her for help. During the commotion, the war is ongoing and the Spanish Flu moves in rapidly. A fast read. Startling and spooky, but good. Four stars. A re-read via audiobook as read by Tim Curry, which makes it pretty great. Creepy and occasionally gross story concerning my least favorite Halloween residents: zombies. 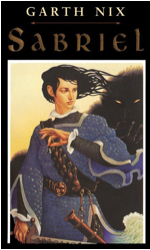 Sabriel must defeat the greatest enemy any Abhorsen has faced. Beautifully written and I am in love with the bells. Five stars. A re-read of an old favorite. Not spooky or creepy, but it is a ghost story of sorts. Heart-warming, old fashioned, and beautiful. I didn't quite finish it by Halloween, but that's OK. This book is close to my heart. Five stars. Anyone else read any good Halloween-y books? I think next year I will go for classics like Dracula and Frankenstein. Sadly, I have never read these. They will be perfect for next year. I already have something to look forward to.